I don’t shut down my computer on a daily basis. It takes so long for my computer to shut down and later restart that it saves me time not to do it. At least, I think it saves time. But then my computer starts running hot and slow and loud. Sometimes a little warning box even pops up, telling me it needs to shut down in order to install updates. It needs a reboot so it can download newer, fresher versions of my programs. Most of the time I ignore the slowly loading programs and pages, the constantly whirring fan, and the overheating machine resting on my toasty, tropical lap. And I click a button and override that pesky little warning box. Eventually though, my computer forces a shut down. And since I usually haven’t been shutting it down on a regular basis, it can take up to 30 minutes or more to close down, install updates, and restart. I usually roll my eyes in annoyance when this happens, because I can’t get things done with those 30 minutes! I am instead forced to wait. But after all that waiting, the computer runs cooler and faster and quieter. I treat myself just like I treat my computer. I don’t shut down on a daily basis. I run my life hot and loud and rushed, and I tell myself it saves time. It’s efficient. It gets things done. But I’m wrong, and just like my computer, I sometimes need a forced shut down. And this past week, through quite an unexpected channel, I received just that: my husband left town and headed to the mountains of Europe for a work conference. I dread my husband going out of town like I dread those recurring computer shut downs. But this time, his trip forced a shut down in me — a shut down I desperately needed. I couldn’t leave the house to work or do ministry. By myself, I couldn’t even do as much at home. So I didn’t try to. I slowed down. I scaled back. We did our basic lessons. Then we played. We read. We laughed. We met with friends. I rested. I did less. I started gently re-evaluating my plans and priorities. And the week reset me. I’m running better now. Less panic and more patience. Less self-condemnation and more calm. Less internal swelter and more farsightedness. I probably still need some more reboots. But I’m running quieter and more efficiently. I’m happier than I’ve been in a long time. I needed a forced shut down, and thank God, He sent me one. Yes! So true. The more we are pouring out, the more we need to reboot!! Ironically enough, for the past few months my husband has been dropping hints (and even going so far as to request) that I should take on fewer responsibilities and maybe even let go of a few I already have. I resisted, thinking I already am not doing as much ministry as he is (well, he has 40 hours each week to pursue ministry, but because I’m a home school mom, outside ministry falls into the cracks of my life), and I want to do ministry! But in the end, he WAS right. I did need to Sabbath, I did need to rest, I did need to unplug. And I am more committed than ever to keeping a good rhythm in my life. May we do that together, across the miles! My computer isn’t the issue, because it tends to be the first thing to go when I get somewhat overwhelmed. I try to leave it off on Sundays, and I’m doing pretty well with that. 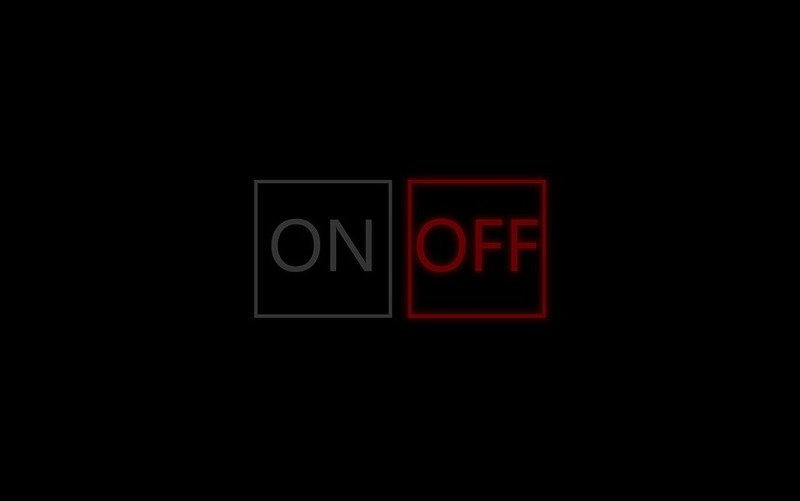 I try to turn it off by a certain time at night- not doing well with that lately. But I can relate, because I get so focused on my “to-do” list. There are things that are really important that really need to be done. But I forget sometimes that rest is just as important. If I’m not getting rest, I will get to the point that I “crash” like the computer. This might come out in irritability, anger, overreacting, or just fatigue. Having kids makes the to do list longer, but I’ve also realized that I need to set the example for them, too. One of them was stressed about the future, and commented something about not wanting to be an adult, and not have time for anything he enjoys. When I thought about it, I realized he was getting that from his parents’ example. Unintentionally, of course, but still there. We talked through various adults with jobs and hobbies, and I took it as another reminder to find balance in my own life. Such a great analogy — “crashing”! Yep, that happens! And such a great point about needing to model a better way for your kids. I need to do that too!